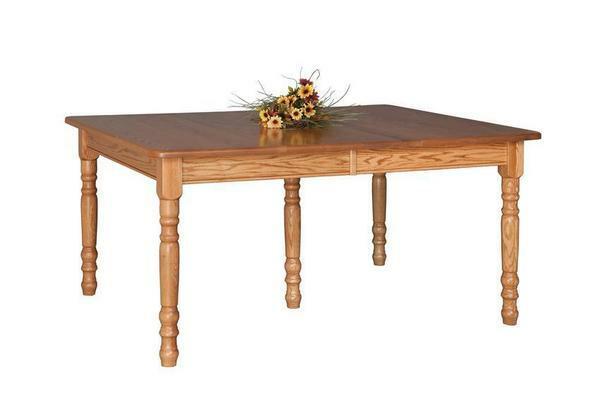 This Large Rectangular Farm Table comes with a Limited Lifetime Warranty. Amish construction promises a wood table that will serve for generations. For a smaller version the Small Rectangular Farm Table is available. This farm table has wood slides-a small detail with big impact. Wood slides will never rust, they're strong and they allow extensions to extend the farthest. Thank you for shopping with DutchCrafters. We're excited to connect you to solid wood furniture made with the finest materials. This is furniture that will become part of your family's story and can be passed on for generations to come. Please email or call with any questions about your new dining table and a Furniture Specialist will be happy to help you.